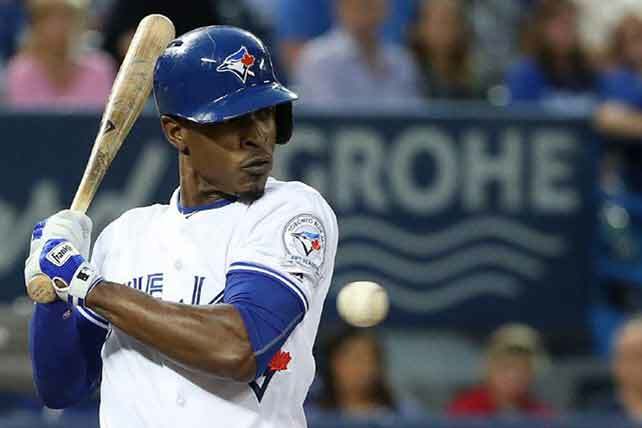 John Gibbons’ future won’t be in doubt for long, but left field might remain a puzzle. The Blue Jays’ pitchers and catchers will report to Dunedin on Tuesday to undergo physical exams in preparation for the 2017 season. It will be Valentine’s Day, and fans will immediately renew their love affairs with baseball for yet another year. Horsehide romantics will wax eloquently about the crack of the bat, the smell of freshly cut grass, the grounds crew’s early rituals, silently chalking lines and rolling out cages and screens. No, some things never change. But the biggest difference between spring training now and the first camp I attended with the Montreal Expos in 1978 in Daytona Beach, Fla., is that these days, players report already in shape, ready to roll. Back in the day, maybe until free agency, players had to hold down off-season jobs to survive, living a winter like regular fans, eating too much, drinking too much and ignoring New Year’s resolutions to work out. Hey, isn’t that what spring training is for? So many major-leaguers at the time showed up to Florida or Arizona carrying 10 to 15 extra pounds, attempting to lose that excess bulk while also working on loosening arms or getting their timing at the plate, with a simple target of opening day. Back in 1970, the Expos’ second season, the Little General, take-no-prisoners-manager Gene Mauch, stared disapprovingly at starting catcher John Bateman on Day 1 in West Palm Beach and ordered him to drop 10 pounds, or else. Bateman’s ill-advised solution was to squeeze into a skin-diver’s rubber wetsuit and run laps for a week. Today, there’s not a trainer in sports that would allow that. Fast forward to spring training 47 years later and, in addition to 10 more MLB teams in existence, most players could list their off-season occupation as “working out”. On Wednesday, after physicals are completed, a long, lean line of earnest young men will line up in the eight-mound bullpen at the minor-league Mattick Complex in Dunedin and the catchers’ leather will pop like it’s mid-season. If we accept that physical conditioning will not be on anyone’s list of issues at Blue Jays camp, or at the 29 other sites, here are five important questions that will need to be answered before the Jays exit Florida and head to Montreal for a spring-ending two-game exhibition series at Olympic Stadium against the Pirates. At the end of last season’s American League championship series, after Jays president Mark Shapiro and general manager Ross Atkins raved about the job that Gibbons had done, it was expected that an extension would be announced at some point in the winter. It’s true that the current Jays clubhouse, teeming with veteran leadership, is a perfect match for Gibbons and his laissez play style of managing. It’s no lose. A perfect opportunity to announce an extension would have been at the annual state-of-the-franchise event, a meet-and-greet for season ticket holders at the Rogers Centre. Management, however, discontinued that practice this year so Gibbons never made it back to town in an official capacity. This is a no-brainer, because even if you extend Gibbons three years, then have to fire him at some point, the financial waste would be less than a year of Melvin Upton Jr.
Gibbons and Atkins spoke admiringly last season about the resourcefulness of the Tampa Bay Rays organization and how their bullpen always seems to get the job done using castoffs, re-treads and reclamation projects. That, more than any recent season, describes the 2017 Toronto bullpen. The Jays’ left-handed relief might not be the best in baseball but, after the addition of J.P. Howell, there are no gnarly questions that need to be answered from the southpaw side. On the right side, you have four shoo-ins for five spots: two born in the ’90s, Roberto Osuna and Joe Biagini, and two well-worn veterans, Jason Grilli and Joe Smith. Question marks abound for the other spot and around the durability of the two veterans. The leading candidates for the last right-handed spot — or to fill in should the need arise — are Rule 5 selection Glenn Sparkman, Danny Barnes, Ryan Tepera and Bo Schultz. Of course, there will be other candidates that aren’t even in camp yet. There is talk of stretching out Biagini, but that would be a mistake for a Rule 5 selection that found his niche in a setup role last season. The early front-runners for depth are right-handers Mike Bolsinger and Gavin Floyd, and left-hander Brett Oberholtzer. But the Jays will also have a chance to evaluate youngsters Conner Greene, Sean Reid-Foley and Francisco Rios. They will finish camp with their own 1-10 depth chart. The candidate with the highest ceiling is 23-year-old Cuban free-agent acquistition Lourdes Gurriel, but he isn’t expected to be ready for the major leagues by opening day. That leaves a Yahtzee cup full of random outfield dice, many with minimal big-league experience: Upton, Ezequiel Carrera, Dalton Pompey, Jose Tabata and Darrell Ceciliani. Former Oriole Steve Pearce has been mentioned, but he is not expected to be throwing at full strength until April after September elbow surgery. It is worth paying attention to ongoing developments as president Shapiro follows his dream of making Dunedin a year-round destination of choice for Blue Jays players (like the Indians created in Arizona), with state-of-the-art facilities that are staffed year-round. The goal would be to make Toronto a free-agent oasis. The Jays are looking for financial help from various levels of government but are willing to contribute. Less than 50 days until they play ball for real.